Interested in using the Senior Center for your functions? 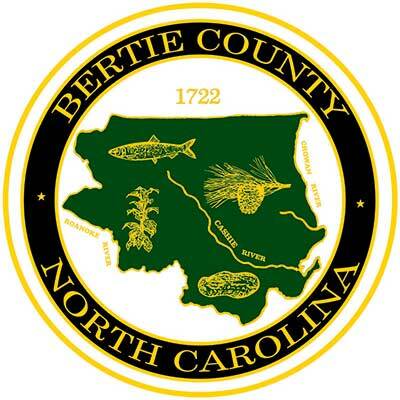 The Bertie County Council on Aging serves all Bertie County Senior citizens, aged 60 or older, and their spouses. Bertie County is home to roughly 3, 947 older adults. More than 31% of our county’s seniors are at or below the poverty level. Bertie County is a rural county with a minority senior population of a 2,027 (51%). Through the Council’s programs we serve between 400-500 seniors and their family caregivers during a year. This program provides a delicious catered meal that assures 1/3 of the daily recommended dietary allowances. Our meals are at noon Monday through Friday. We have three nutrition sites in Bertie County, Windsor, Aulander, and Colerain. These sites are open from 9:30 a.m. - 1:00p.m. A nutrition site manager is present to coordinate activities and distribute meals. Recreation, educational programs and “time to chat” are available for the patrons to enjoy. Each senior is asked to contribute $1.00 (for those 60 and older) towards the cost of the meal. Home delivered meals, better known as “Meals on Wheels”, is similar to congregate nutrition, in that it is a well balanced, catered meal that is delivered to home bound Seniors Monday-Friday. Home Delivered Meals provides a brief visit by a volunteer along with a daily meal. Currently we have two routes within the county. One is located in Windsor and one in Aulander. Colerain has Home Delivered Meals, but family members or caregivers pick up the meals at the nutrition site for the home bound persons. A $1.00 contribution (for those 60 and older) is asked of each recipient. With a contracted home health agency, the Council provides a certified nursing assistant to “relieve” a primary, unpaid caregiver for loved ones that would be unsafe if left alone due to mental and or physical problems. Typically the relief is no more than eight hours a week. Unfortunately, due to the high demand for this service at this time, spaces are limited, but families are encouraged to have their names placed on a waiting list. A $1.00 contribution (60 and older) per hour of service is asked to help continue this service. The most unique feature of the Council’s services is the Cost Sharing requirement. Each participant is given information on the cost of each service and is encouraged to make a voluntary contribution towards the cost of the service. This is strictly voluntary and services will not, and can not, be denied if a contribution is not made. The revenue is reinvested to expand the services provided by the Council on Aging. The purpose of the Senior Center is to be a focal point where Seniors can come for services and activities which enhance their dignity, support their independence and encourage involvement in and with the community. The Senior Center also serves as a source of information on aging services and activities, and provides opportunities for volunteerism for Seniors and others alike. The Senior Center can never have too many volunteers. The goal of the Senior Center is to promote the physical and mental well being of Seniors. Also the Center organizes, plans and coordinates services and activities that will encourage Seniors to experience a sense of achievement and productivity and gives them opportunities for interaction with their peers and community. We strive to provide an atmosphere that will encourage Seniors to use their current skills andtalents; and to learn new ones. S.H.I.I.P (Senior’s Health Insurance Information Program) coordination is available through the Council on Aging. This program is a statewide network of volunteers and is sponsored by the NC Department of Insurance. S.H.I.I.P. trains Senior Adults to counsel other Seniors in their community about Medicare, Medicare Supplements and long term care. AARP Tax Aide Volunteers are available during February, March and April to assist Seniors with their state and federal income tax returns. Seniors 60 and older with low to middle incomes are eligible for this free service. A variety of classes and programs are offered for seniors. Currently senior citizens are offered health, wellness & exercise classes in Windsor and Colerain. Windsor holds two classes Monday, Wednesday and Friday. Colerain holds classes on Tuesdays and Thursdays. Several arts and crafts classes are held in the fall, winter and spring. Flu shots are arranged each fall through the local health agencies to be given at the Nutrition Sites. The county health department gives periodic blood pressure checks. Different agencies provide monthly programs on current issues and provide information about services their agencies offer. The Senior Center has an ever-growing large print library that is available for Seniors to check out. The BookMobile also stops by periodically and leaves additional large print books. Day field trips are planned and administered through the Senior Center.